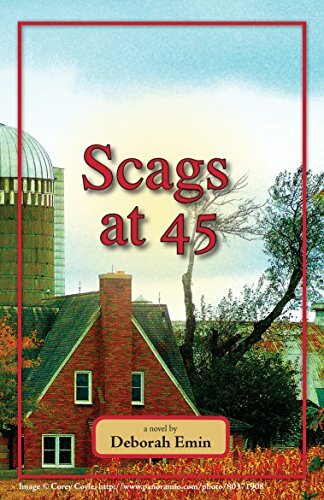 It is time to celebrate the final part of the revolutionary Scags Series, which spans a woman's life from age 7 to 45, organized around the seasons of a year. By the time we get to Scags at 45, Scags is finding her voice by writing a memoir about her life from the time of the sudden catastrophe that sends her on a 3-year wandering journey into the heartland of the country and her return to NYC, then back to Skokie to care for her Mama and Aunt Money and then finally into the farmland of upper New York State. While on this wild ride that covers the years from 1992-2011, we finally find Scags at peace and at work, in love and in community. Her new life also includes the writing of the political thrillers that have been informed by her studying and her experiences. Born Loser, Born Lucky is the first of the works Scags produces and is introduced in the pages of Scags at 45.